Within a given season, the density of seedlings is the integral over all depths of the product of the number of seeds at a given depth and the probability of a seed at that depth producing an emerged seedling (Mohler, 1993). However, to understand the effects of tillage over several seasons, the survival of seeds in the soil must be considered as well. Roberts & Dawkins (1967) performed an early experiment relating seed survival to tillage. They turned the soil at three-month intervals, at six-month intervals, or left it undisturbed. No seed production was allowed in the plots. 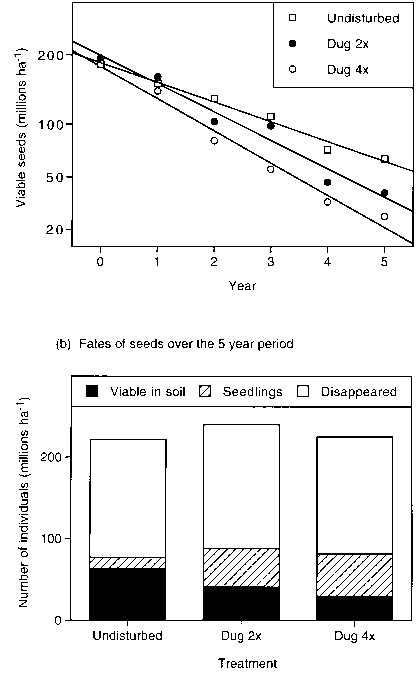 Annual sampling of the seed bank indicated that the rate of decline in number of seeds present was relatively constant over years and increased with frequency of soil disturbance (Figure 4.6a). 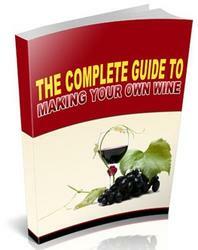 Other studies corroborate this finding (Roberts, 1962; Roberts & Feast, 1973a, 1973b). In the study of Roberts & Dawkins (1967), the decrease in viable seeds with tillage was largely accounted for by an increase in the number of emerged seedlings (Figure 4.6b), but the generality of this result is unknown. Tillage affects seed survival in three ways (Figure 4.7). 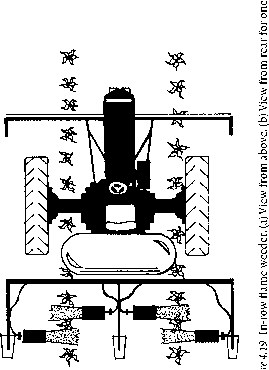 First, the tillage operation itself may stimulate germination, for example, by exposing the seeds to a light flash or by scarifying them, and if germination then occurs at a depth that does not allow emergence or at a time of year or in weather conditions that do not allow establishment, then germination will lead to death. Second, changes in soil conditions due to tillage may also stimulate germination in conditions unsuitable for establishment. Finally, action of seed predators, pathogens, and damaging physical influences generally decreases with greater depth in the soil, and, as discussed above, tillage redistributes seeds in the soil profile. For simplicity, germination under conditions that do not allow establishment is referred to below as inappropriate germination and treated as a type of seed mortality, although technically, death occurs in the seedling rather than seed stage.